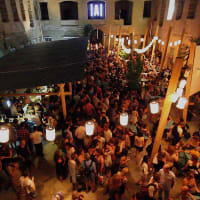 Discover the famous ruin bars of Budapest and the hidden gems of the city’s bustling nightlife scene with this guided bar crawl. 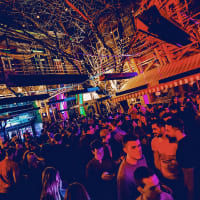 Your expert guide will take you along secret walkways to breathtaking bars, decked out with eye-catching lights and unique decor, all packed to the rafters with Budapest’s beautiful people. 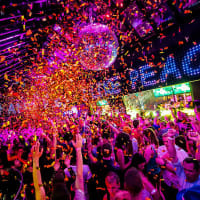 Soak up the atmosphere of buzzing nightspots and get plenty of tips for where to go and where to avoid, so you can really make the most of your trip to Europe’s party capital. Sari took us to the best locations in Budapest, and kept us away from the troubled areas. QUALITY!!! Although I believe our tour guide lalle played a big part in that. She was fantastic at her job and we couldn’t of asked for a better guide into Budapest. Great evening, fantastic guide (Ici). Good variety of bars visited. So good, we hired her again for the second evening! The guide was excellent and found us some hidden gems and she was knowledgeable about the area. 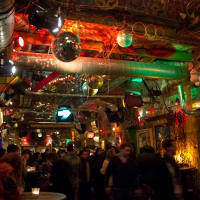 Great selection of bars and the host helped us find places that suited our specific tastes.